“We have the Air Force. We'll have the Space Force," Trump said in a speech to U.S. Marines in San Diego. WASHINGTON — An idea that the Pentagon has long opposed — creating a separate military service dedicated to space warfare — suddenly is back in the headlines after President Trump endorsed it in a speech on Tuesday. Addressing a military audience at Marine Corps Air Station Miramar, in San Diego, Trump boasted about his national security strategy, plans to modernize the U.S. nuclear arsenal, develop hypersonic weapons, and his proposed increases to military budgets. Trump also made extensive comments about space and the possibility that the United States will need a “space force” to fight enemies that threaten U.S. access to space. But the president may not have been aware that the idea of a military branch dedicated to space is not new. In fact it has been championed for a long time by members of the House Armed Services Committee’s strategic forces subcommittee. And it’s one of the few issues in the House that gets bipartisan support. A provision in the House version of the 2018 National Defense Authorization Act required the Air Force to spin off a separate department focused on space. The bill passed the House but didn’t have enough votes in the Senate. And it was fiercely opposed by the Air Force and the Pentagon. The law directed the Defense Department to hire an independent think tank to study the issue. 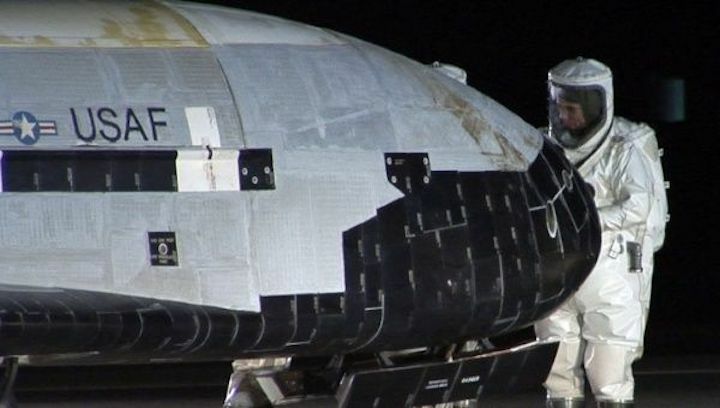 The Air Force manages most of the military’s space programs and has come under criticism from lawmakers for short-changing space programs. Deputy Defense Secretary Patrick Shanahan has temporarily taken over duties overseeing military space. Strategic forces subcommittee Chairman Rep. Mike Rogers and ranking Democrat Jim Cooper have said the Space Corps debate will continue in the 2019 NDAA. They predict it could take three to five years to make it happen.